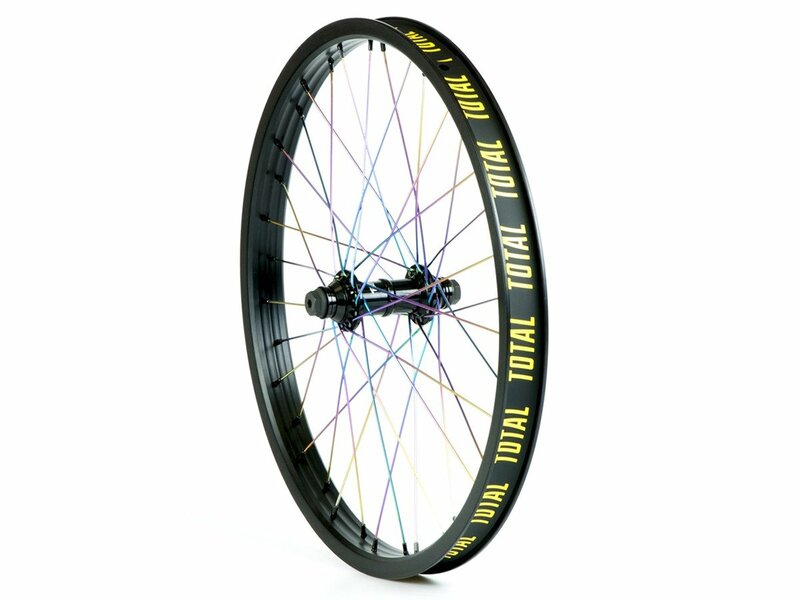 The Total BMX "Techfire" Front Wheel - Black/Oil Slick is a high quality 20" frontwheel and a combination of the Total "Spitfire" doublewall rim and the Total "Tech V2" female front hub. The Total BMX "Techfire" Front Wheel - Black/Oil Slick included a rim tape and comes with Oil Slick double butted cross laced spokes. Rim: Total "Spitfire" doublewall 36h.